Before diving into the templates and examples of common core the plans, we first have to ask ourselves, or educate the unaware, what is “Common Core”? The Common Core is a high-quality academic standard in English language arts (or ELA) and mathematics that determines a student’s knowledge and capability after each year. This academic standard was put forth with the purpose of preparing students and arming them with the necessary information and skill set for college and their respective careers after they graduate. Originating in the United States, this initiative is sponsored by the National Governors Association and the Council of Chief State School Officers. 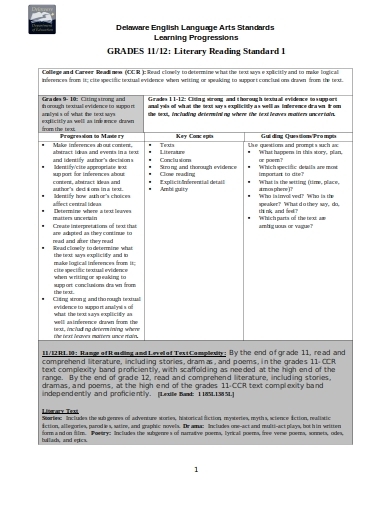 A standard template for a common core lesson plan. It is straight to the point, with the sole purpose of teaching the students the necessary lessons in hopes of preparing them for college and beyond wherever they may end up after graduating high school. 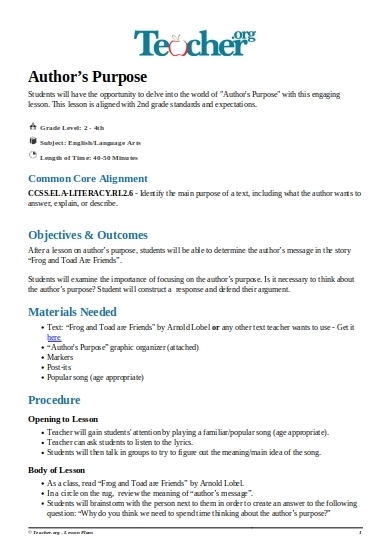 This is a lesson plan that is purposely created for grades 1 and 2 students. Focusing on literature, this lesson plan will train the students on catching an author’s message within a story. Having the ability to spot subliminal messages and subtle nods in stories can have a positive impact on a student’s future careers, as it sharpens and strengthens the mind. 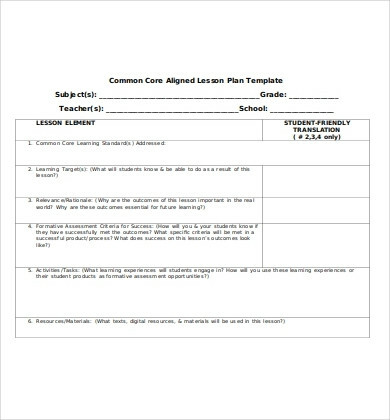 This common core lesson plan lays out the standard format you will be needing for a lesson. 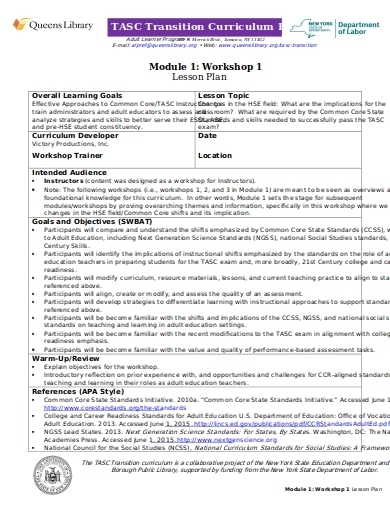 Things like learning targets, relevance, tasks, and materials needed can all be placed here. There is also a reflection section at the end of this sample, encouraging the students to actually have the initiative of application after learning something new. 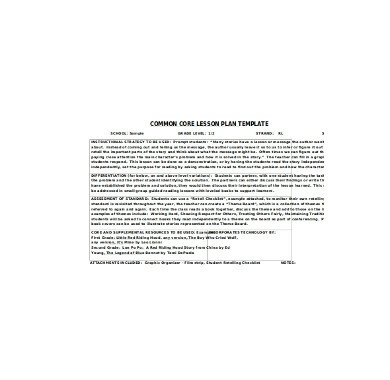 This comprehensive and thorough lesson plan aims to teach educators themselves the value and importance of the common core state standards initiative. For the teachers and administrators, everything begins here. Educators must first master the lesson before they can impart those learning to the student. 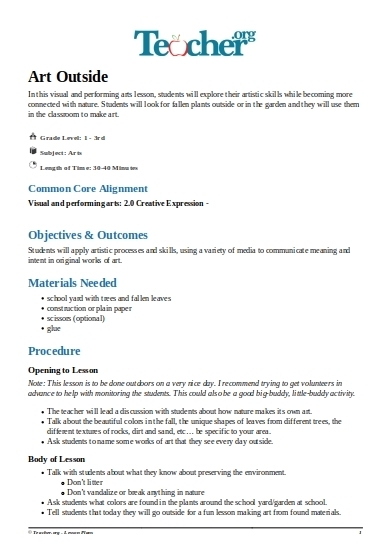 A common core lesson plan about art that is more a hands-on activity than a written one. This lesson plan encourages students to go outside and study nature for the sake of art, and what they can do to save the environment. Having an awareness, understanding, and concern of everything around you is an essential skill to hone if you wish to succeed in the real world. Mathematics is not everyone’s cup of tea. Some even consider it extremely boring. That is why it is some educator’s job to make math lessons entertaining especially to the younger children. This lesson plan is anything but boring. It is fun, interactive, and you get to do it in the real world which makes it all the more interesting. Have the students use the necessary mathematical equipment to measure certain objects that are frequently found in nature. There is certainly nothing boring about that activity. 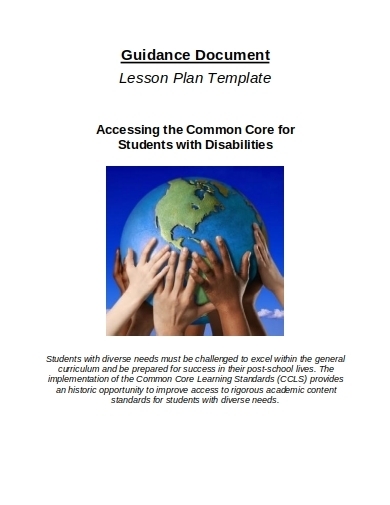 This particular lesson plan caters directly to students with disabilities. Students of such afflictions will require special needs and specific ways of mentoring. That does not mean they are less capable mentally speaking; it just means some of them will respond to certain ways. Most of them are even very intellectual. 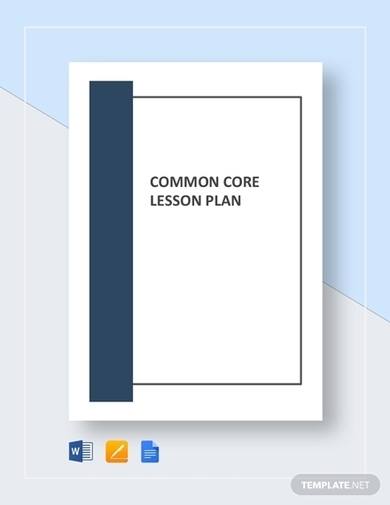 With the help of this common core lesson plan, you are made able to reach out to these students and teach them the lessons they will require in the future properly. 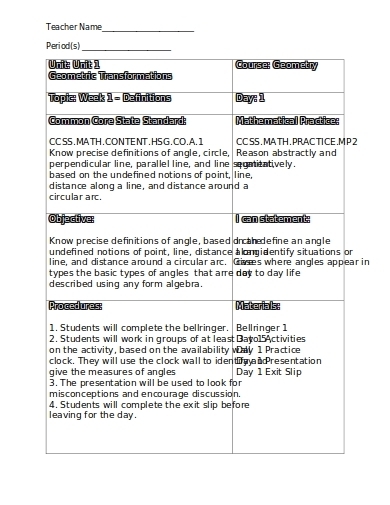 This common core lesson plan is for teaching geometry. Its goal is to make the students fully familiarize the definitions of certain terms in the field of algebra. 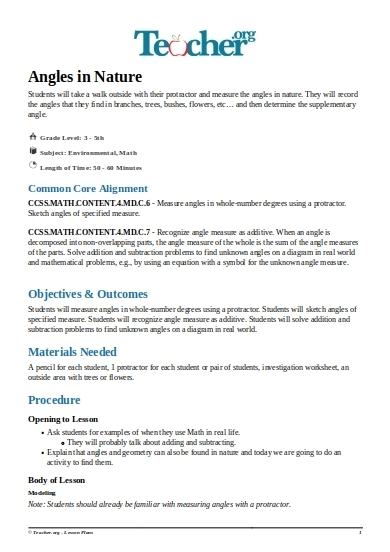 Students who aspire to be in the world of mathematics, or engineering, maybe even aviation, will benefit greatly from this lesson plan. This lesson plan is a more advanced version of story break down, as it is tailored to be learned by grade 11 or 12 students. In this lesson plan, the students will be tasked to deduce the author’s intent, cite the more important events in the story, be fully aware of the setting, the people involved, and pick apart the vague texts within the book. Students who aspire to be authors and writers will be grateful to this lesson plan, as mastering these certain arts can contribute to their dream of being successful writers. The Common Core State Standards Initiative is a brilliant and thoughtful way of enabling our youth with the proper knowledge and skill to be successful in their fields in the future wherever they may be. After all, these young people will inherit our world. The future will be on their hands, so why not train them to be successful early on fully for the benefit of our society? Some of these kids are very ambitious, even at such a young age. Children below the age of 10 already talk about becoming professionals in certain fields such as being doctors or engineers, inventors, scientists. Now, I know all kids talk about things like these, but maybe being trained and prepped at such an early age can fully push the fulfillment of those dreams.